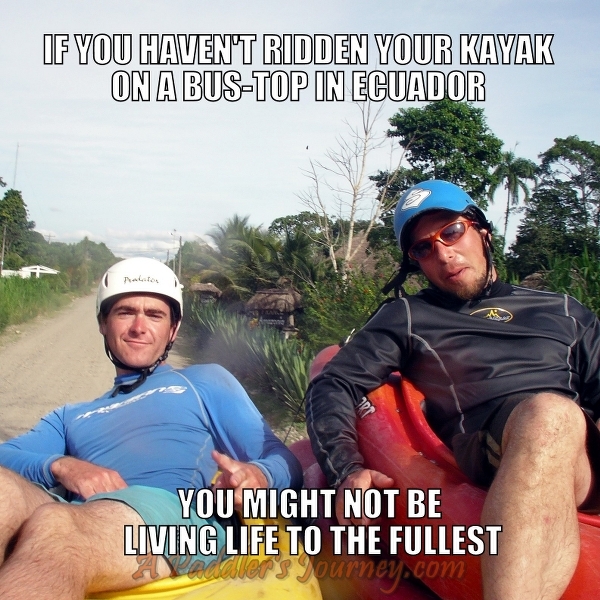 Off the couch is an expression that comes up a lot in whitewater kayaking. 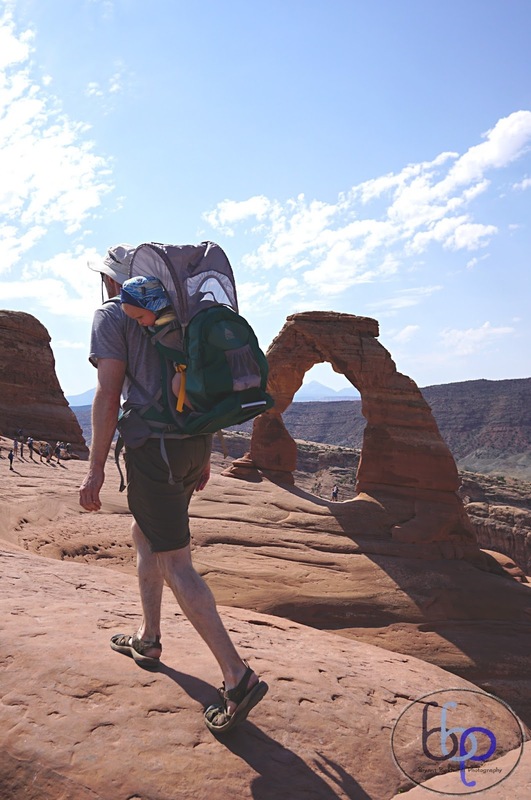 It often refers to the first runs of the season after a layoff of several months; when you're skills are rusty, you're not in paddling shape, and even your gear is a little bit questionable (if you can even find it in the back of the garage). Sometimes you come off the couch because of an injury, or because you've been too busy to boat for a bit. Sometimes your period of inactivity is as much as a year, maybe even two. 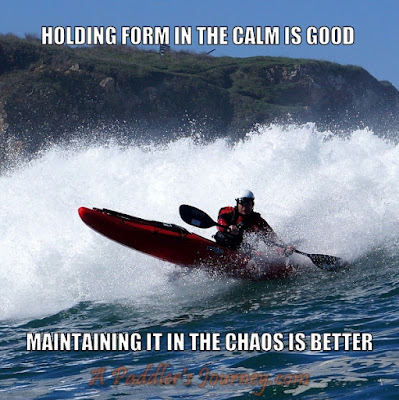 For me it's been three years since I sat in a whitewater boat, and four years since I paddled anything of consequence. That's not just off-the-couch, it's off-the-coma-bed. But when my best friend invited me on a weekend of paddling a classic Class IV stretch of whitewater in far northern California it was too tempting to pass up. The Smith River has long been on my list of must-do drainages, and the NF Smith seemed within reason - maybe. Jumping back into whitewater at Class IV seemed reasonable - I used to paddle much harder stuff - but it also seemed like it might be a mistake to paddle a thirteen mile wilderness stretch, a river we didn't know, a long way from home, with only the two of us. When a storm came in the weekend before and the river spiked to 30,000 cfs, I definitely had second thoughts. But things came together like all great river trips do. I went to the pool a couple weeks ahead of time to make sure my boat still floats and my roll still works. Yes to both, and I ended up spending most of my time teaching a newbie how to roll - so that muscle still works too. I replaced the gaskets on my drysuit, and as ugly as the result looked it was completely effective at keeping me dry. I even dug up my pogies and a thermos for hot chocolate. At the last minute we acquired some local boaters for the first day of paddling. Probably because the flows came down to an ideal level: plenty of water to cover the rocks without being pushy. They even arranged a shuttle rig from some local rafting company which saved us time and money. And as if to confirm a divine blessing on the trip the day turned out to be sunny and warm. All good, right? Then why did I feel so nervous? Putting on I had a few butterflies in my stomach. The first several rapids were class III or easier, but each horizon line had me wondering if I was really prepared and all-to-ready to let someone else lead the way. When we got to the first big rapid which required a scout the group ahead of us was busy recovering from a piton that lead to a swim. I got out of my boat to take a look and the butterflies had grown into condors flying circles in my gut. The rapid looked fine - solid class IV, but with an easy sneak route and several other options well within my abilities, even if my boat control was a pale imitation of my past grace and skill. I looked at the rapid for a long time. Too long. Even watching the others go down the middle and cruise through without problem didn't quell my anxiety. I chose to run the sneak and it was as easy as it looked. I hadn't really paddled anything hard, certainly hadn't executed any diffucult move, but somehow having avoided the disaster my mind had created totally changed my outlook. I breathed deeper and started to trust that I really was a whitewater kayaker and not some impostor who didn't belong. With eight miles left to go, I slowly loosened up. My strokes became more fluid. My boat more responsive. When I dropped into one of the harder rapids without any beta or anyone to follow I simply dodged a few holes and powered through the last drop without the slightest hesitation. I wasn't exactly the graceful paddler I used to be in my memory, and I wouldn't say I was strong and carefree. But I could handle it. I knew I'd be fine. And I was. I enjoyed the beautiful scenery: waterfalls coming in every hundred yards, carnivorous plants lining the shores, and even some caves to paddle into in a pristine wilderness. 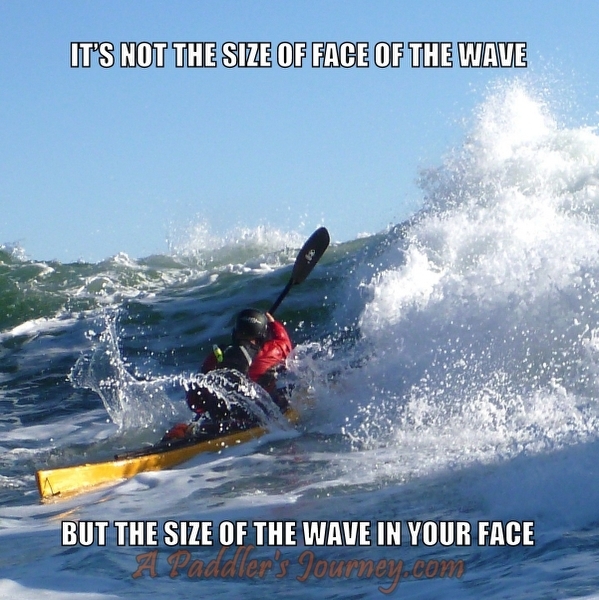 That's what paddling is supposed to be about. The day ended with the locals heading home and me and my mate camping out under clouding skies and a decision on what to paddle the next day. We checked out a stretch of the Middle Fork that was lower and easier. Nah. Too easy. Too roadside. We checked out a stretch of the South Fork Smith that was higher and harder. No go. I felt more confident but not stupid. Two rusty paddlers didn't make for a good exploratory team. We decided to run the North Fork again. Maybe be able to enjoy it right from the start this time with the confidence of knowing everything goes. We could handle it. But we didn't have to handle it on our own. We hooked up with another crew from Oregon, who knew the river well and gave us strength in numbers. Maybe we didn't need the support, but another part of paddling the river is meeting other members of the tribe and sharing some camaraderie and maybe even a takeout beer. I let them lead the way most of the time. I still ran the sneak on the hard rapid. I had come of the couch not to restart my career but to enjoy a weekend, and as the weekend wound down with each short rapid in the final miles I knew I didn't need to improve or test myself any further. I paddled some Class IV whitewater, but I was a pale shadow of my former self when it came to skills and abilities. But I was as happy as ever. I enjoyed myself immensely even knowing it be another year or several before I ever get back out on such a river. That was the real goal and the mission was accomplished. I am no longer a kayak instructor. In all honesty, I no longer kayak, though I occasionally get out in the canoe with my family. But kayaking is still a part of my life in that it helped shaped who I am, and a lot of the lessons learned through kayaking are applicable to many other facets of life, and I do my best to remember what I've learned in one context and see how it can benefit me in other places. I thought it might be worthwhile to point these out and encourage others to use what they know to improve what they do (and maybe who they are). Let's say you're going on a kayak expedition. That could mean two weeks exploring a remote coastline, or a multi-day first descent of a river in South America, but it could also mean an after-work paddle on your local lake with a few friends. The same principle applies to each: everyone on the expedition is responsible for the team and we take care of each other. If someone's food bag gets raided by raccoons, you don't let them starve the rest of the trip - everyone shares a little food because it will help them (and they will be strong enough to help you if you need it). If someone's foot peg breaks, you share your repair supplies to fix it. That's true if the break was a fluke accident or a poor decision. It's even true even if their boat is old, cheap, poorly maintained, and they forgot to bring their own repair kit. Regardless of the cause of a problem, be it chance or self-inflicted, everyone does what they can to solve it so the entire group can continue and hopefully thrive. Some people on this expedition will be stronger than others. They'll have better skills, more experience, and better gear. Maybe that's because they worked harder to prepare, maybe it's because they have rich parents who buy them lessons and equipment. Those people will bear more of the burden than others: they'll tow the person who gets hurt, they'll explore the route and be first down the gorge. The good ones will do the extra work without complaint because they know it makes the team more likely to be successful, and they often realize they got where they are because sometime in the past someone better helped them out. It's a circle, not a line. Now, you might like some of the people more than others. You might not want to go on another expedition with someone who constantly makes bad choices and shows no effort to learn or help others. 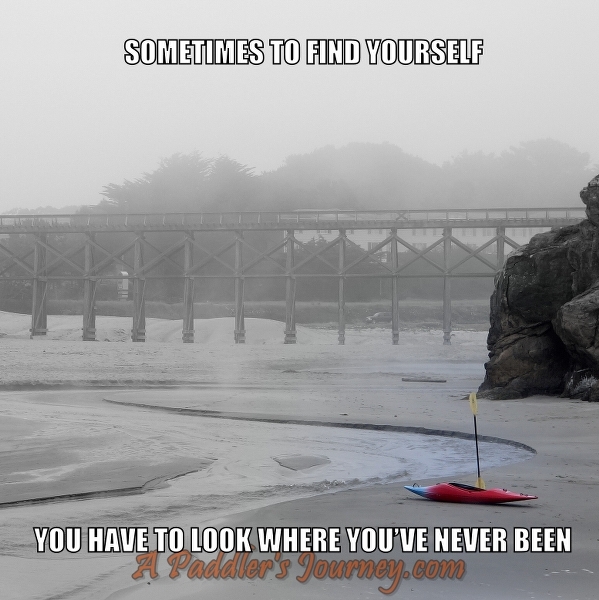 You might want to spend some time paddling alone with the risks it entails. But while you are on an expedition, in the middle of the struggle, you know you have a responsibility to everyone else and trust everyone else to come to your aid if you need it. That's what expeditions are all about. Life is an expedition. Sometimes it feels like we're on our own, but that's never really true. We buy our groceries from other people, drive to the store on roads built by everyone's tax dollars, and read interesting things on the internet posted by people we will never meet in person. You can try to define your tribe as an independent group, but they are really just one pod within the larger expeditionary force. Most people will treat their neighbors like an expedition member. The challenge is to treat the stranger the same way, especially the ones you won't ever meet. The mother in Detroit who still has to buy bottled water for her kids to drink while she showers with her mouth and eyes closed to avoid ingesting what comes out of the pipes. The father from Guatemala who has to decide if it's better to risk his children being killed by gangs in his home country or taken away and stuck in an internment camp while seeking asylum in the U.S. Life is a very hard journey for some and those of us who are having and easier time of it should use our skills and resources to help out those in need. That's expedition mentality. As my regular readers may have noticed (if I have any left), I have not posted much in the past couple of years. The reason for that is simple: I haven't kayaked much. The reason for that is a little more complicated but can be summarized thusly: I have a child now. My daughter was born almost a year ago, and I am no longer a professional kayaker but a stay-at-home dad. Having a child doesn't inherently prevent one from paddling, but it does alter the choices one makes. 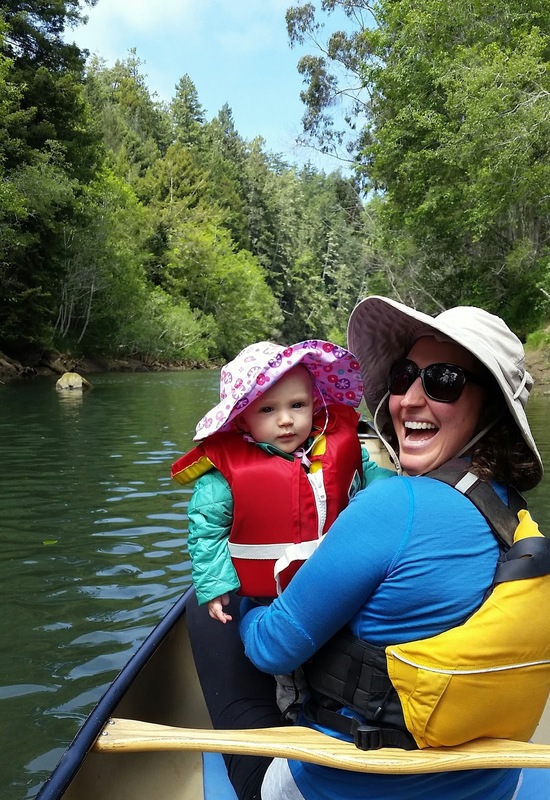 I could kayak myself while my wife looks after our daughter, but my wife is my main paddling buddy and our daughter is too young to join us. We could get a babysitter, but then we would both be missing out on time with our child. We both choose to spend our time together as a family. It's a choice, and ultimately an easy one for me. For fifteen years I worked in the kayak industry: selling them, teaching people how to use them, writing about them, playing around in them. But my dream was never about kayaking. My dream was to live a good life, be joyful, see beautiful places, soak up nature, find adventure and challenge all while surrounded by good people who cared for each other. 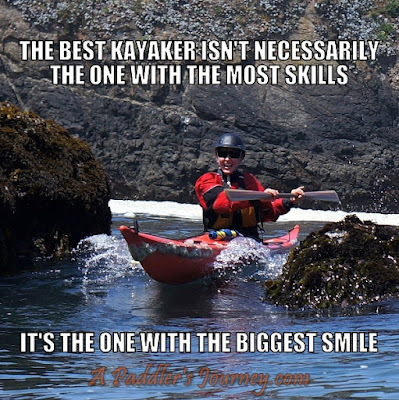 Kayaking certainly brought me that, but it isn't the only path. Now I get to relax (or collapse in exhaustion) in my own home at the end of a day chasing a baby around the house, I get to see the wonder of the world through new eyes, face the challenge of introducing peanut butter to an infant and figuring out how to teach her right from wrong, all surrounded by the most important people in my life who love me unconditionally and support me through all my travails. The dream is very much alive. They say that life is about the journey and not the destination, but our choice of destination gives purpose to the journey and there are many routes to get where you want to go. 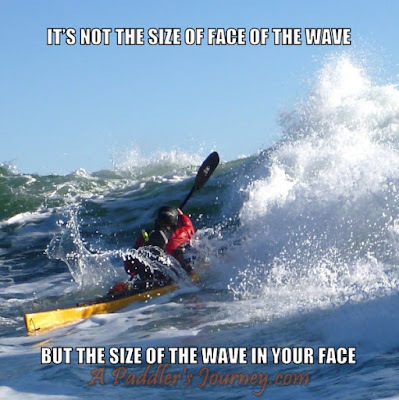 If paddling brings you joy, as it does so many, then by all means pursue your passion to the fullest. But if you get the same satisfaction out of horse-riding, then canter on. Or bird-watching, or political activism, or needle-point. Whatever your choice, you will be better off if you don't confuse the activity with the outcome, the endeavor with the reward, or your own goals and aspirations with those of the people around you. I'll keep paddling, I'll post when I have something to say or show, and I hope to see others doing the same. Live your own dream and stay woke. Now one of my local surf spots, but taken years before I moved to the Mendocino Coast. Anyone recognize the bridge? Everyone should recognize where this was taken. Always a challenge trying to work a specific landmark feature into a good action shot, but this one worked out pretty well. 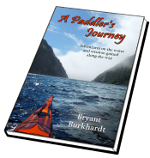 It's holiday season again and I'm making it easier to purchase my kayaking memoir, A Paddler's Journey. 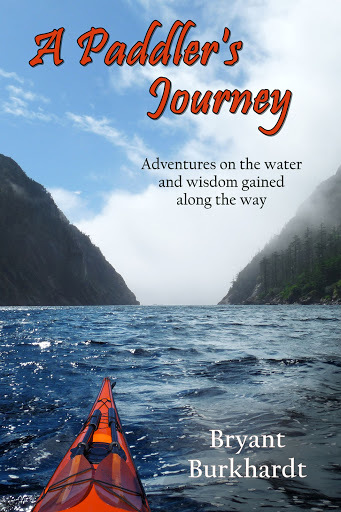 If you haven't heard me talk about it before, the book tells my story as a kayaker, from a complete novice floundering in the surf and on the river, to a highly respected instructor and expedition paddler. 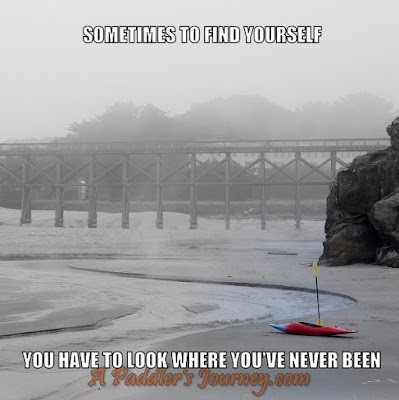 It's about paddling, but really about the journey we all take in life to find what we love, to improve ourselves, and to come to peace with our place in the world. Even if you've never touched a blade to the water you'll understand the action and recognize the lessons learned. There are a couple different ways to purchase the book in print or electronic form, but the sale prices won't last forever. If you purchase a print copy through the CreateSpace site (a division of Amazon) and use the code XUW6M6ZV you'll get $3.00 off the cover price. That makes it only $9.99! And if you want a signed copy you can order that through my website. You can even tell me what you want on the inscription and have me mail it directly to someone special as a gift. I have limited stock on hand so first come first serve for Christmas gifts. You'll need to order by 12/15/15 in order to make sure it gets there in time. 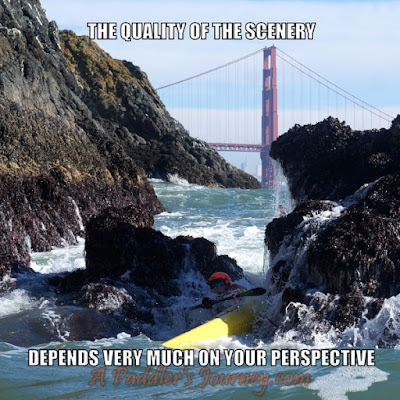 And if you order in December I'll even through in a free copy of my Paddle California DVD, highlighting some of the best kayaking our wonderful state has to offer.